We’ve learned a couple of things about Yoda. First of all, don’t challenge him to a lightsaber duel. He might look like a little green frog dude, but he can soundly defeat anyone. Second, don’t try to steal his food away from him. He’ll give you a good thwack with his cane. R2-D2 learned that lesson on Dagobah. Finally, the best way to become a Jedi Knight is to ask Yoda to ride around on your back as you jump around in a swamp. That’s how Luke learned to be a Jedi and if works for him, maybe it will work for you! Hey… actually, that’s not a bad idea! 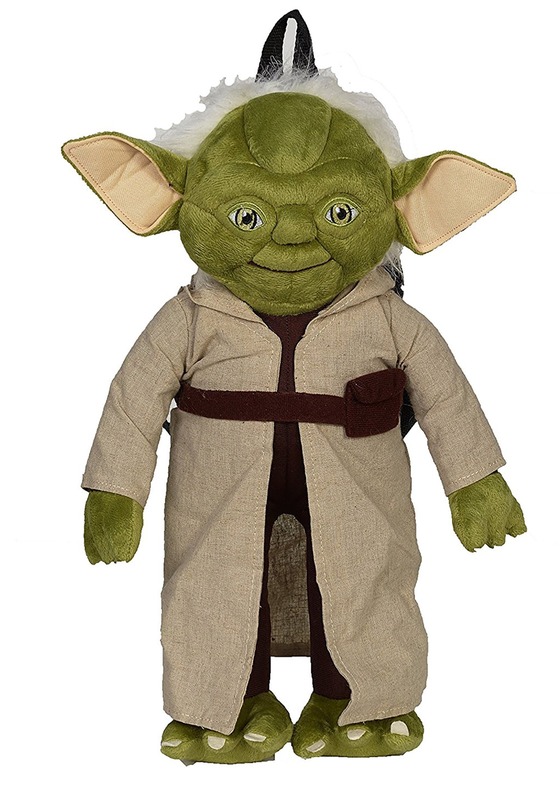 This Star Wars 16” Yoda stuffed figure backpack is designed to look just like the wise old Jedi Master from The Empire Strikes Back. Just toss him on your back and you can begin your training to become a Jedi… or at the very least you could make one pretty awesome Luke Skywalker cosplay costume. It has a small zipper pouch inside, so you can even use this little dude to store a few of your necessities during your training. 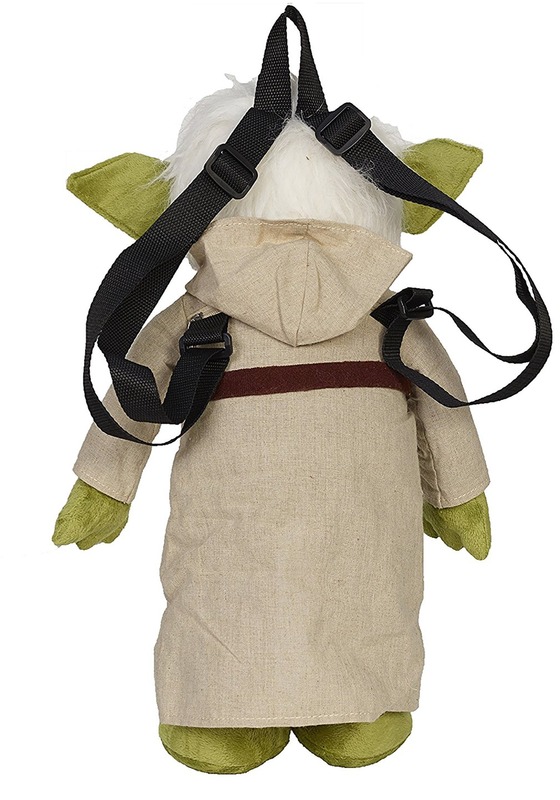 Whether you use this to train as a Jedi, or you just use it to dress like Luke Skywalker, this Yoda backpack is the perfect accessory.